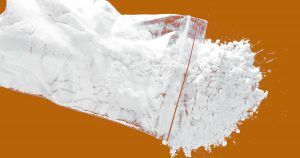 Once a drug addiction takes hold, staying clean can be just as hard as getting clean in the first place — as many as 70 percent of cocaine users relapse within 90 days. Now, researchers from the University of Pittsburgh think they’ve found a way to prevent relapse that sounds like a side plot in “Eternal Sunshine of the Spotless Mind.” By erasing memories linked to cocaine use, they decreased rats’ drug-seeking behavior — and they believe the same therapy could help humans overcome a drug habit. In a study published Tuesday in the journal Cell Reports, the researchers describe how they got rats hooked on cocaine by giving them a dose when they pressed a lever that also triggered a tone and a light. Eventually, the rats began to press the lever whenever they heard the tone and saw the light — a sign that the stimuli triggered the rats’ desire for the drug. Then, to break the connection between the triggers and the drug-seeking behavior, the researchers changed the setup so that when the rats pressed the lever in response to hearing the tone and seeing the light, they didn’t get any cocaine. After a while, the rats stopped bothering to push the lever despite the presence of the triggers, a sign that the therapy effectively stopped the drug-seeking behavior. When moved to a different environment, however, the animals once again began pressing the lever in response to the tone and light. By studying the rats’ brains, the researchers were able to identify connections between two parts — the medial geniculate nucleus and the lateral amygdala — as playing an essential role in forming the memories that made the animals associate the tone and light with cocaine. Then they used a light-based technique known as optogenetics to control the neurons between the two parts of the brain, effectively erasing memories linked to cocaine use in some of the rats. Sure enough, those rats pressed the lever significantly fewer times when exposed to the tone and light — and that decreased desire for cocaine persisted even when the scientists placed the rats in a new environment. Eventually, the researchers believe their study into erasing memories associated with drug use could help humans stay clean. “In the long term, these findings may help us develop drugs or approaches like deep brain stimulation to specifically target these memories strengthened by substance use and improve the success of exposure therapy to prevent relapse,” researcher Mary Torregrossa said.